A Bristol man has been ordered to pay £1,352 in fines and costs after admitting fly tipping waste in Winterbourne, and an Oxfordshire man has been ordered to pay £1,071 after he admitted fly tipping waste in Little Stoke. In both cases, the householders who employed the fly tippers initially contacted them through social media website Facebook. Jonathan Owen Stanley, 24, of Tynte Avenue, Hartcliffe, Bristol appeared before North Avon Magistrates’ Court on Friday 4 September. He pleaded guilty to fly tipping waste, not having a Waste Transfer Note or a Registered Waste Carriers Licence to transport the waste, and was fined £320, with a victim surcharge of £32 and costs of £1,000. A resident of Southmead in Bristol first contacted Stanley having noticed him on Facebook, where he was offering his services to remove waste for payment. Stanley agreed to remove the waste for £20, claiming he had a Registered Waste Carriers Licence and would be taking the waste to Bristol City Council’s Household Waste Recycling Centre in Avonmouth. 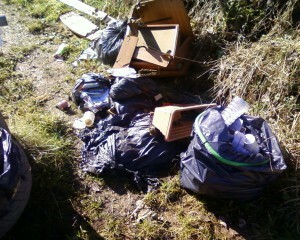 The waste was found fly tipped at Trench Lane in Winterbourne and traced back to Stanley. When interviewed, he initially claimed that it had not been a commercial transaction and none of the rubbish found was the waste that he had removed from Southmead. However, he pleaded guilty to all three offences in court. An Oxfordshire man (previously living in South Gloucestershire) has been ordered to pay £1,071 in fines and costs after admitting fly tipping waste in Little Stoke, South Gloucestershire. Stephen Wilkes, 25, of Moorland Rd, Witney, Oxfordshire appeared before North Avon Magistrates’ Court on Friday 21 August. He pleaded guilty to fly tipping waste and not having a Waste Transfer Note or a Registered Waste Carriers Licence to transport the waste. He was fined £555 with a victim surcharge of £56 and costs of £350, plus clear up costs of £110. The court heard that a Bradley Stoke resident had contacted Wilkes after he advertised a ‘Rubbish removals and clearances’ business via Facebook and agreed to remove the residents waste for £30. Wilkes collected and loaded the waste into his vehicle at midday on 5 November 2014. However, just 30 minutes later he was witnessed dumping the waste in a residential cul-de-sac off Lawfords Avenue in Little Stoke, South Gloucestershire. He was challenged by a witness, but sped off in his vehicle. Wilkes was eventually traced to an address in Witney, Oxfordshire and interviewed. He initially denied the offences of fly tipping, claiming that someone else had impersonated him on Facebook. He changed his story in court and admitted depositing the waste, claiming that he had given a gypsy £20 to collect the rubbish from where he dumped it, but was let down. 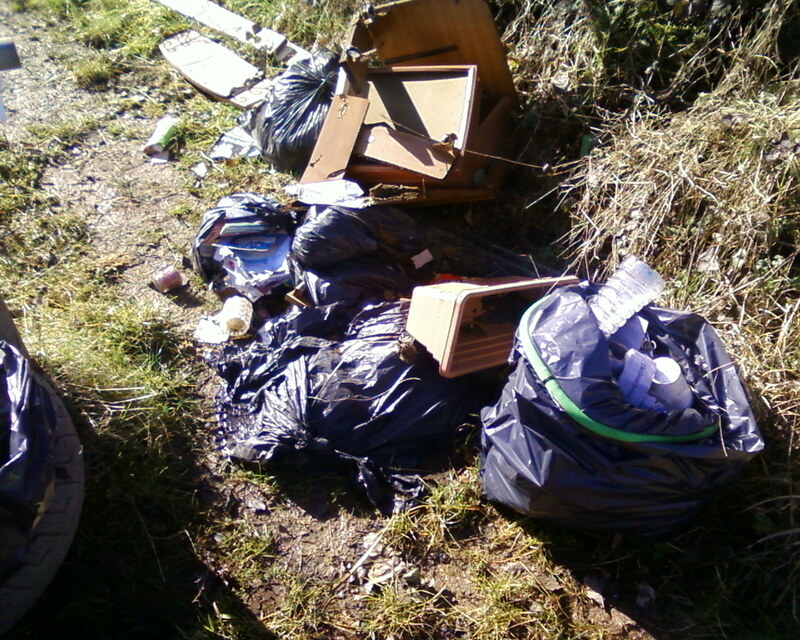 South Gloucestershire Council’s Communities Committee Chair Cllr Heather Goddard said: “These latest prosecutions serve as another reminder that if you are involved in the illegal dumping of waste in South Gloucestershire, you will be prosecuted. Residents are advised to only give their rubbish to an Environment Agency registered waste carrier or they could be held liable if waste is subsequently fly tipped.